Iranian President Hassan Rouhani, accompanied by his Foriegn Minister Javad Zarif and Oil Minister Bijan Zanganeh, arrived at the World Economic Forum (WEF2014) at the picturesque mountaintop resort of Davos in Switzerland. The theme of this year’s gathering is income inequality. The new Iranian president can probably benefit from the discussions; the income inequality in Iran has become unprecedented in the country’s modern history. Rouhani’s presidential plane landed at Zurich airport today where he was whisked into a helicopter for the ride to Davos. 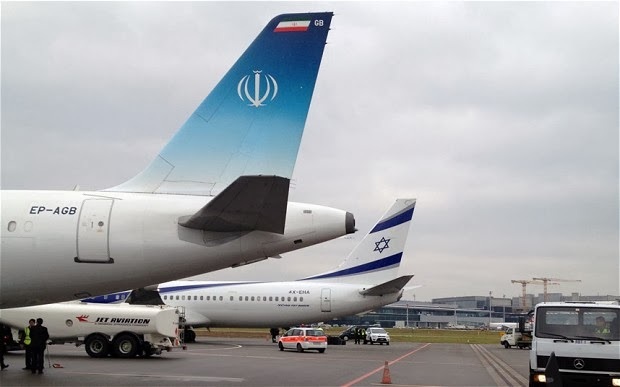 His plane stood alongside the Israeli aircraft of Premier Banjamine Netanyahu (Photo above). So close that Bloomberg reports that the journalist and staff from both planes took photos of each other. An airport diplomacy of sort! 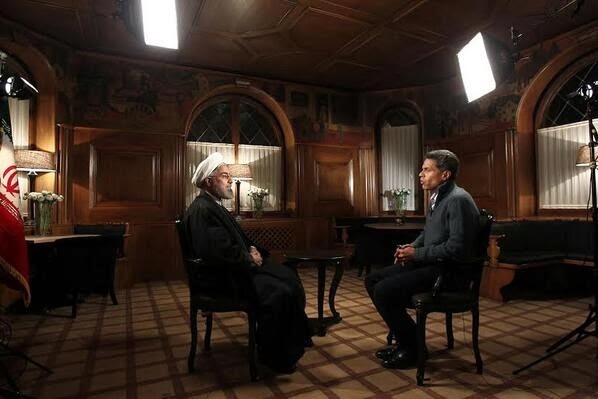 Rouhani's first action at Davos was to sit for an interview with CNN’s Fareed Zakaria. Great shot of IRIG A321-231 EP-AGB and El Al Israel B737-958/ER 4X-EHA ! Israel is not only the enemy of Iran but also is envious of Iran. To the barking of Netanyahu I would say: How many people does Iran have locked up in a concentration camp like Gazauschwitz? How much land of others has Iran stolen and is stealing? How much top-secret US military technology has ended in China by way of Iran? How often does Iran force the US to shoot itself in its diplomatic foot solely to benefit Iran? How many Americans put the interests of Iran ahead of those of the US, demanding that the US obey the wishes of Tehran?